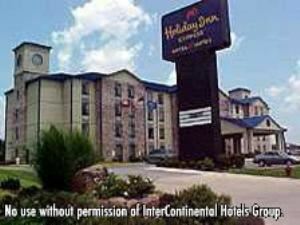 The Holiday Inn Express Hotel & Suites Harrison is a tastefully decorated four story hotel. We are convenient to local businesses and within walking distance to several restaurants. The indoor pool, hot tub and sauna are among the amenities of our hotel. All rooms have iron/board, coffee makers and hair dryers. Hotel features include complimentary continental breakfast and free local phone calls. Enjoy a unique breakfast experience at our new Express Start Breakfast Bar served every morning featuring a selection of fruits, juices, cereals, breads/pastries, and even hardboiled eggs. We have also created the world's best tasting cinnamon roll. Visit Harrison, AR and stay smart at the Holiday Inn Express Hotel.